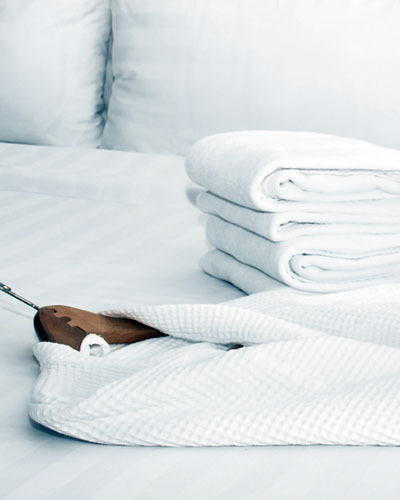 We excel at laundry processing not only for bed sheet, pillowcase, towels, robes, F&B linen, but also hotel staff uniforms, guest laundry & dry cleaning. Master Laundry offers complete laundry services for hotels, gym, spas and restaurant. We excel at laundry processing not only for bed sheet, pillowcase, towels, robes, F&B linen, but also hotel staff uniforms, guest laundry & dry cleaning. Dedicated area and reserved facilities for hospitality laundry helps quality service standard being well sustained. Our aim is to give our hospitality clients a clean laundry with a peace of mind they deserve to enhance service attention to their guests.